The 10oz builds on the inspiring Queen's Beast series. It is the UK's first official ten-ounce coin. 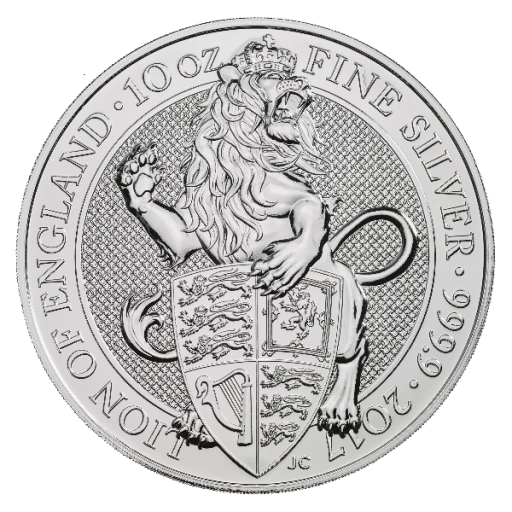 Bearing the Lion of England,this large silver release from The Royal Mint is an iconic acquisition for investors seeking larger amounts of silver in a single purchase.